I was lucky enough recently to be invited to the media screening of Lee Daniels’ The Butler through work. It was awesome! (and much much better than the 6.5/10 that IMDB users seem to think it is!) 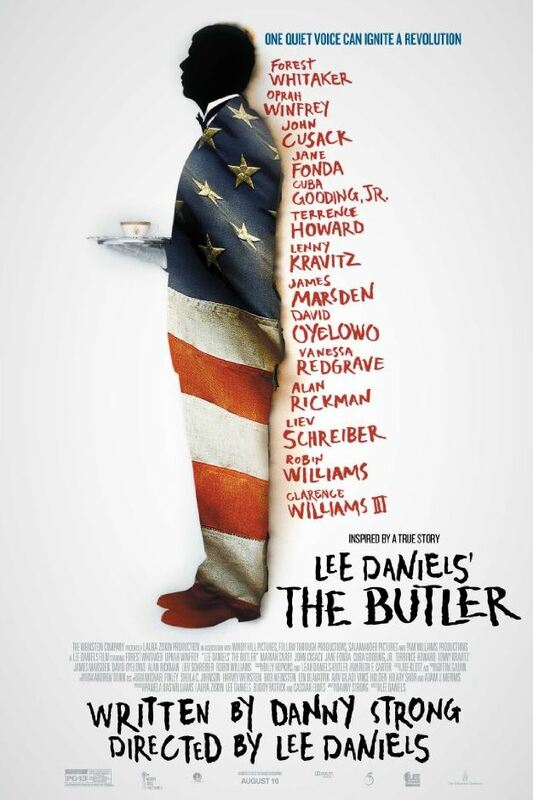 It’s based on the true story of Eugene Allen who served 8 US Presidents as a staff member in the White House. According to various sources online that seems to be where the similarities end. Unlike all the critics online (and don’t get me wrong, there are also ones that loved it) I wasn’t fussed about the “real-life” vs “fictional” aspect of the film. It was a film, and while it was supposed to be “based on a true story”, it doesn’t mean it has to be factual the whole way through! The Time Magazine article says it quite well actually, “…The result is largely fictional film, rather than a biopic…” There are documentaries on Mr Allen’s life scattered around, if you’re interested in his life, then go watch one of those! Since about 5th form Social Studies, I’ve been quite fascinated about the Civil Rights Movement in the US and this film reminded me of all the major events and issues, woven together into a cinematic dramatisation. Anyway, since I’m pretty much incapable of avoiding spoilers, I think i’ll stop now and if, after watching the film, you want to talk about it, well tweet me!